Taekwondo is one of the most systematic and scientific Korean traditional martial arts that teacher more than physical fighting skills. It is a discipline that shows ways of enhancing our spirit and life through training our body and mind. Today, it has become a global sport that has gained an international reputation, and stands among the official games in the Olympics. Grand Master Jung H. Jin is a former U.K. National Team coach and an 9th degree Black-Belt (Kukkiwon). With over 40 years of teaching experience, Master Jin is a certified 1st Class Instructor by the World Taekwondo Federation, an International Referee, and also a World-Class Korean Eagles TKD Demonstration Team Director. The goal of the program is to create a positive and disciplined learning environment to practice martial arts. This will improve your child's fine and gross motor skills along with the ability to listen, follow instructions, and focus. 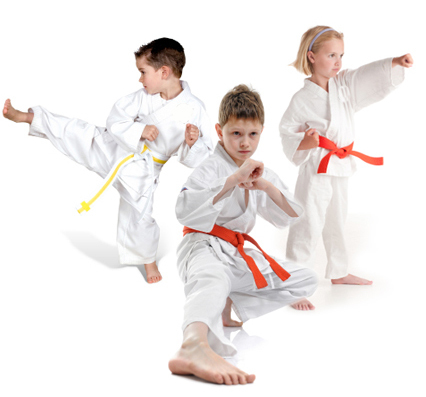 Students will learn the basic fundamentals of Taekwondo: blocking, punching, and kicking under the approved curriculum and standards of the World Taekwondo Federation. Besides excellent fitness, mental stimulation, and the ability to defend themselves if necessary, our students will benefit from numerous lifetime traits. 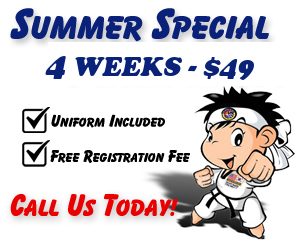 Contact us today and ask us about our monthly specials and how you can get your child enrolled. My son Alex, 8, joined Eagle Taekwondo 4 months ago and we couldn’t be happier. His self-confidence has improved and he is overcoming his intense shyness. Master Jin provides a personalized feel to a group class. His passion for Taekwondo is evident as he combines knowledge with fun. After doing some research, we decided to enroll our 5 year old at Eagle Taekwondo in Tustin. They are very professional and passionate about what they do, and know how to get kids motivated. Highly recommended for kids of all ages.